Auria was born and raised in a tiny town called Seremban in Malaysia. She grew up surrounded by the delicious cuisine of her homeland and soaked up the diverse culinary inspiration that reflected the multi-ethnic makeup of the people of Malaysia. In her mother’s kitchen, she learned how to cook the sumptuous curries, delectable noodle dishes, and various exquisite meat and seafood preparations with Chinese, Indian, Malay and Portuguese influences. 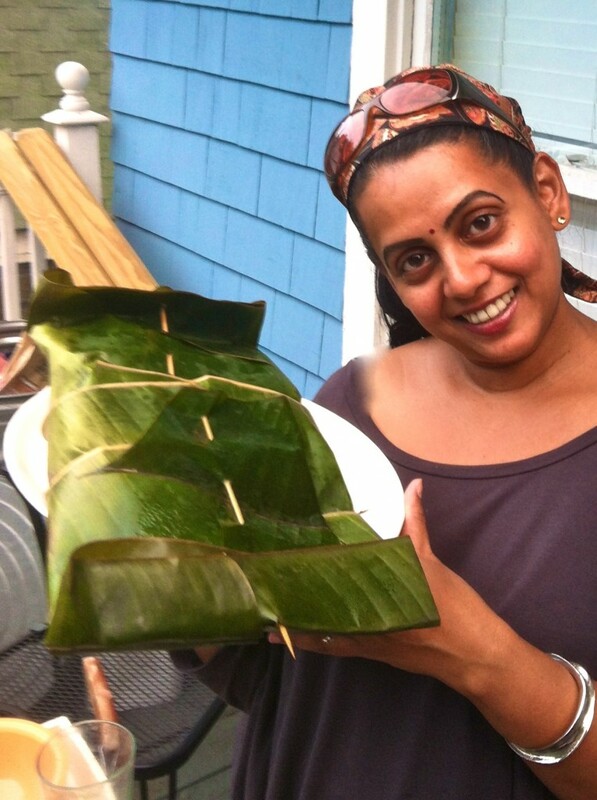 Over time, she mastered the use of the plethora of Southeast Asian spices and herbs – fenugreek and brown mustard in seafood and vegetable dishes; cinnamon, cardamom and cloves in meat dishes; galangal, fennel and fresh turmeric to flavor sauces and marinades. She came to the US in the early 90s to continue her music studies at Berklee College of Music. While living in the college dorms, she would regularly cook Malaysian meals for her friends who had grown tired of the same old, same old at the college cafeteria. In 2011, Auria created an underground supper club series. She hosted up to 20 people at a time in her home, where she cooked all her favorite dishes, keeping faithful to her mother’s recipes and methods. Word quickly spread among Brooklyn foodies looking for a deeper, more authentic dining experience. At the Malaysian Winter Market at Bryant Park in February 2012, Auria’s booth had a line out the doors of the heated tents and all the way to the entrance of the park. In 2013, Auria launched Auria’s Malaysian Kitchen with the goal of making Malaysian food available to the American public. Her delicious products are made with the finest all-natural ingredients.